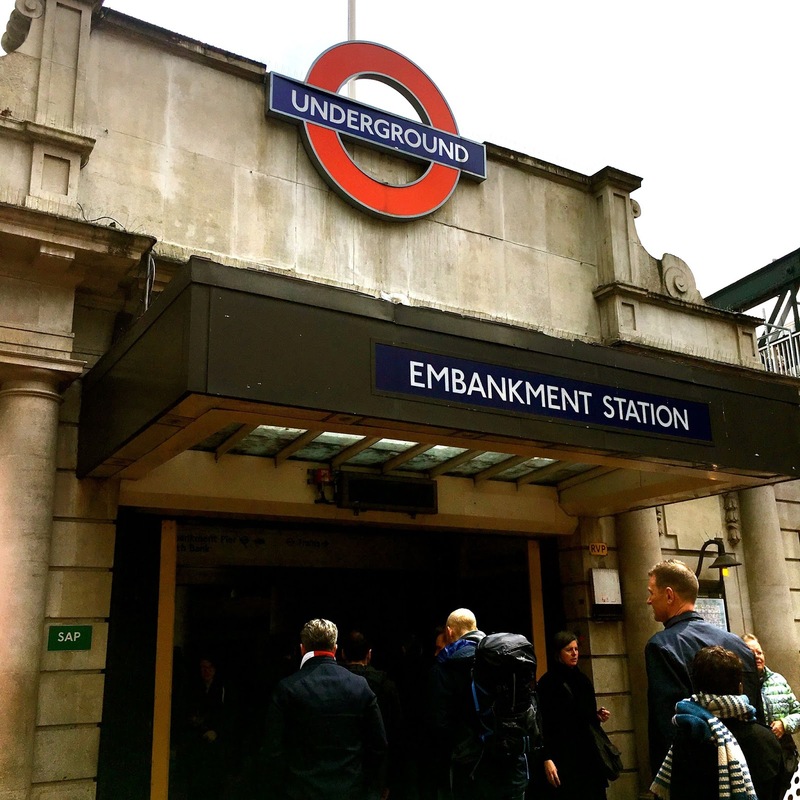 Above Ground on the London Underground: Embankment Station AKA What is this thing I love? It's not much to look at, the Embankment Underground Station but as we headed out from the station, on our way to Trafalgar Square we saw an extraordinary piece of architecture. On the left of the passage between the Embankment Underground Station and Charing Cross Railway Station, an ultra-modern building completely out of synch with the rest of its surroundings. 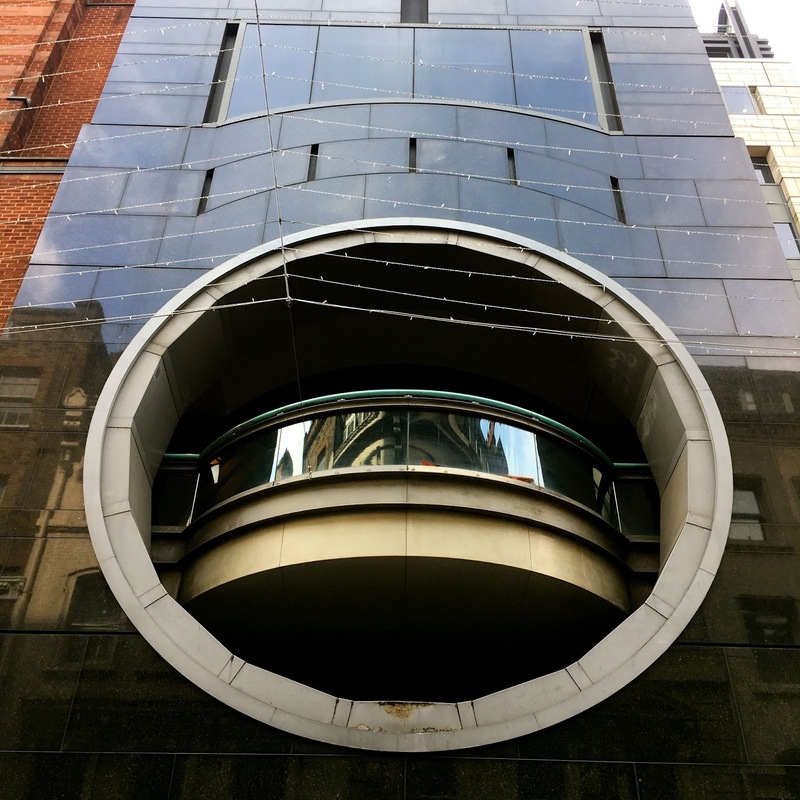 I love the two large round windows, set like a pair of eyes. This looks like a toy for a giant. I want to spin the center bit! The problem is, I don't know exactly what it is! My camera identifies the building as 34-36 Villiers Street but those readings aren't always exact, are they? When I look the address up, searching for info about the building—who designed it, when it was built, what is it—I come away basically empty handed. 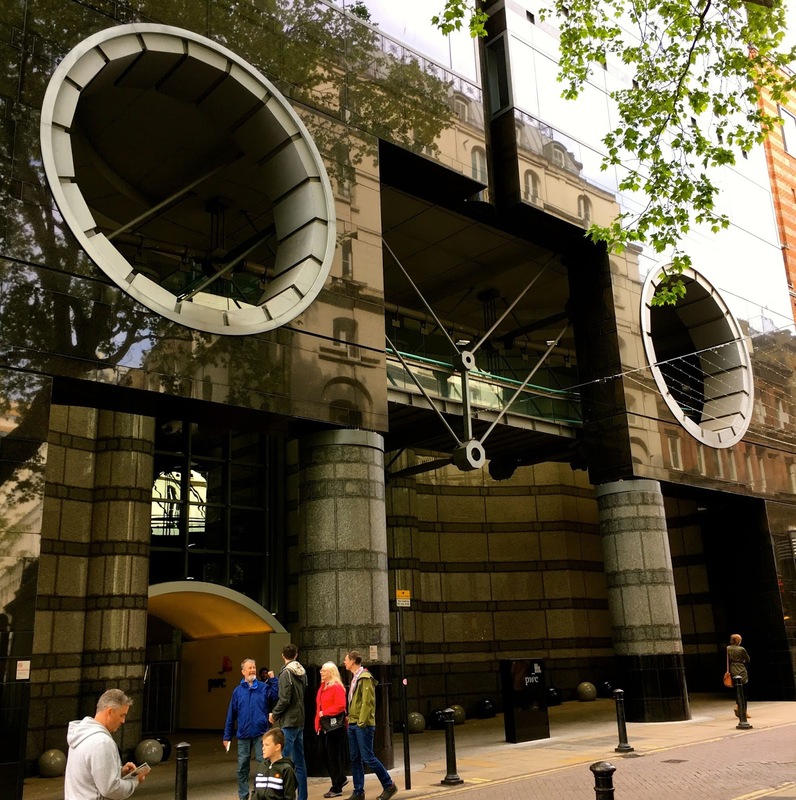 It's next door to The Arches Shopping Plaza, it could be part of the complex or it could be part of the Charing Cross Railway Station. Or something else entirely? Have you got any clues? I'd love to know more about it. I could kick myself for not asking someone when we were there but with such a distinctive looking building I thought there would be a ton of information available online. I'm hoping someone—Joy? Mike? Irene?—will know! Connecting with Joy Weese Moll's British Isles Friday meme. Thanks Tina, I love having you along! We stayed right in that block, at Citadines on Northumberland. And, I still don't know the answer. I remembering walking north on the Jubilee Bridge and being very confused about where Charing Cross started and ended, where Embankment started and ended, and what was all that modern building kind of in between? That helps Joy, if only to reassure me that I'm not going mad! It was such a mishmosh, and like you, we had a hard time figuring out what was what! 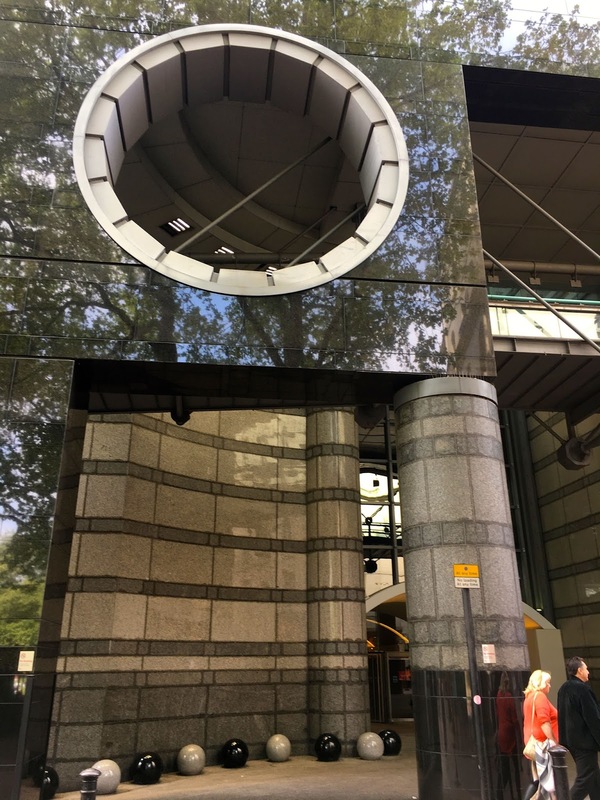 I think that's probably Embankment Place, Sim, London HQ of PWC - Price Waterhouse Coopers, accountants, consultants and general alleged experts in anything they can get away with charging £2k+ a day for. I'm sure if you dropped them an email, they'd be able to help. Could the features be just that - features - or part of the ventilation system? Thanks Mike, you're my go to expert. Thanks for not charging £2K a day for helping me out. I'm sure if I dropped PWC an email they'd be able to help for a fee! The 'features' do look like they might be part of an organic method of increasing ventilation. I'll be snooping around to find out. Again, thanks much!